You know what's not fun? The sheer panic that ensues when you wake up and realize that you slept through your alarm and that you are totally, completely, 100 percent, definitely going to be late. In cases like these, there's not time to fuss with hair styles that use heat—or even showering, to be honest. These five styles take no more than five minutes to complete and will ease any slumber-induced freak-outs, trust. Getting started: For all of these styles, give your hair a good dose of dry shampoo to get rid of grease, then spritz with texturizing spray for great grip. Side plait. Start with a deep side part, then French braid one side back. Secure with a clear elastic. 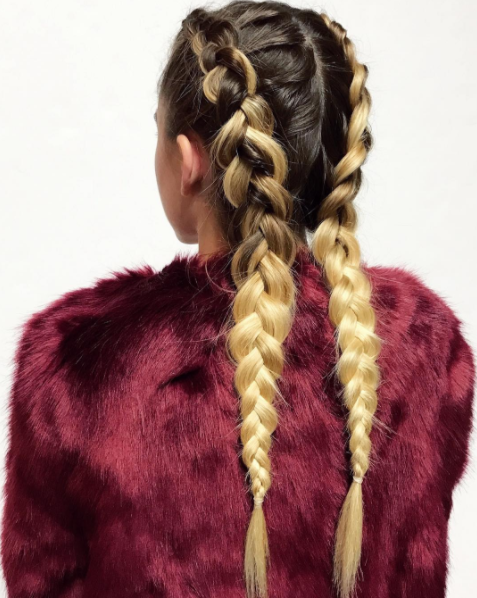 If the braid feels too tight/close to your head, tug gently at pieces for a more undone look. Mini knot. A "I didn't wash my hair" staple, the mini knot really never fails. Pull a small section of hair up into a half pony with a secure elastic. Twist pony and wrap around itself to form a loose bun shape. Secure with another elastic and/or mini bobbies. Tousle hair for that messy vibe. Double French. Part hair in the middle, then work from the front to made a loose French braid. Repeat on the other side. See how her braid loops appear flat? Tug at each one to get that effect. Space buns. 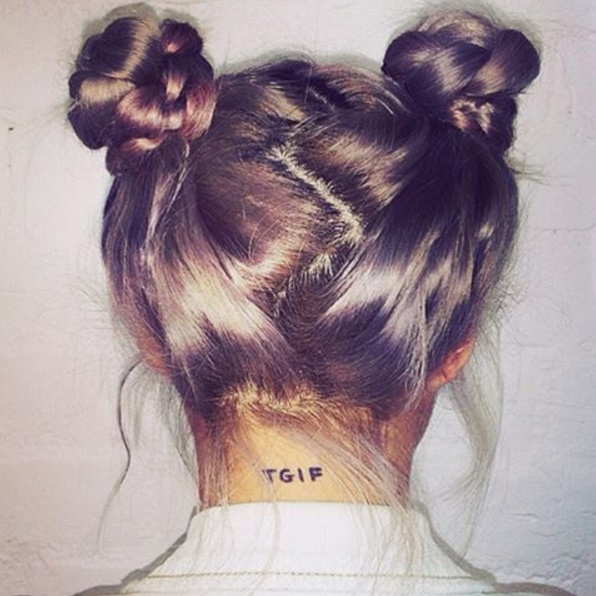 For an otherworldly look, try these double knots. Part hair in a zigzag fashion using the pointy end of your comb (opt for a simple middle part if you're *super* pressed for time). Pull your hair into two high pigtails, making sure that they're even before you secure with a clear elastic. Section out a small piece of your pony, then braid, securing end with another elastic. Twist and wrap pony around itself just like the top knot, then wrap the braid around the base of the bun, securing with bobbies. Repeat on the other side, and you're done. Textured pony. This style only *looks* complicated. Part your hair and braid just as you did for the side plait. 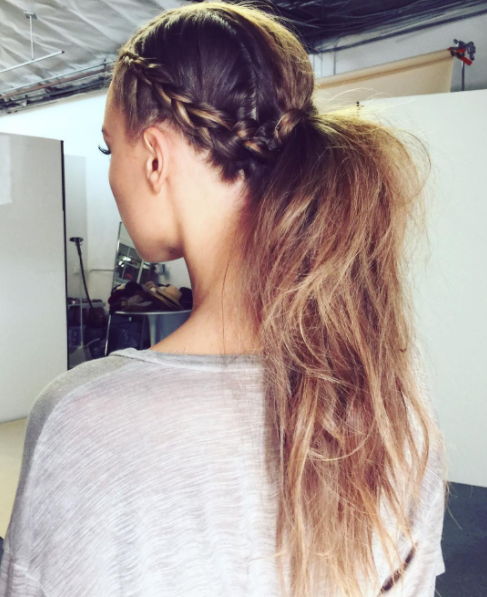 Pull the end of your braid and the rest of your hair into a low pony. Pull a small section of hair out to wrap around the base of the pony. Tease the top of your pony for mega texture. What's your go-to "I'm late!" hairstyle? Share in the comments.